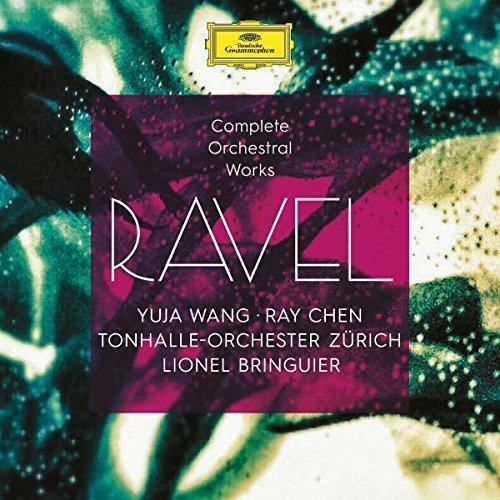 On 8 April 2016, Deutsche Grammophon released a 4-CD box set of Ravel’s complete orchestral works and solo concertos, performed by the Tonhalle Orchester Zürich under the baton of Lionel Bringuier. The set represents something of a rarity in its completeness and in having largely been recorded live. The soloists are pianist Yuja Wang and violinist Ray Chen, while this expansion of its CD repertoire with Ravel’s music marks the orchestra’s first recording project under Lionel Bringuier. The choice of composer was a carefully-considered artistic decision, according to the conductor: “For my first recordings with the Tonhalle Orchester Zürich I’ve opted for Ravel. We all know his Daphnis et Chloé, Boléro and La Valse. A complete cycle allows us to get to know some lesser-known works as well.” This is Deutsche Grammophon’s first collaboration with the renowned Zurich ensemble.